Welcome to the Currys PC World complaints department brought to you by HissingKitty. Experienced poor customer service? 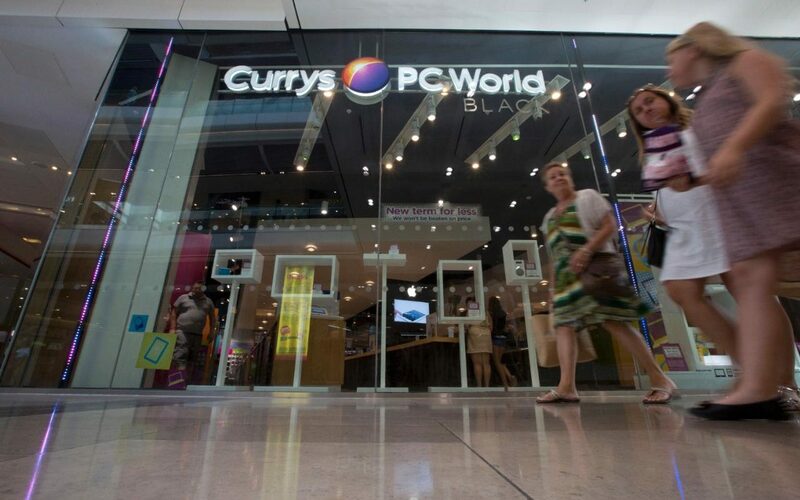 We make it easy to file a formal complaint against Currys PC World online. Simply use our free form and your feedback will be instantly forwarded for review. Need to contact the Currys PC World corporate office? We have the mailing address, phone number, and email address listed below. I have been a loyal customer for many years until now. I needed to purchase a copy of windows 10 pro on a USB, you can get these for $28 online but probably not legitimate. I looked on your web site and found your trowbridge store had 2 available. I drove 10 miles to trowbridge, when i arrived i found the sales box, took it to the counter and the sales person called the warehouse, they did not have any, so there appears to be a stock control issue there. i asked if they could call the chippenham store to see if they had stock but they simply looked online (perhaps they don't have it either?, they did not call) I drove 10 miles home. Most importantly, whilst I was in the Trowbridge store waiting for service, there was an elderly gentleman (80+) trying to get some service, the lady "assisting" him seemed very short and almost rude. the old guy had brought his laptop in for repair and it had been returned wiped, he had lost his email and ms office but the lady just seemed to want him to go. I found that part of my visit to the trowbridge store appauling, if the store offers a repair service, they should be more caring and patient with elderly customers, if she's lucky, she'll be old one day. Delivery of a new fridge freezer was on time and I like it. However; since it is a built in fridge freezer, I paid the extra 90£ for the installment. 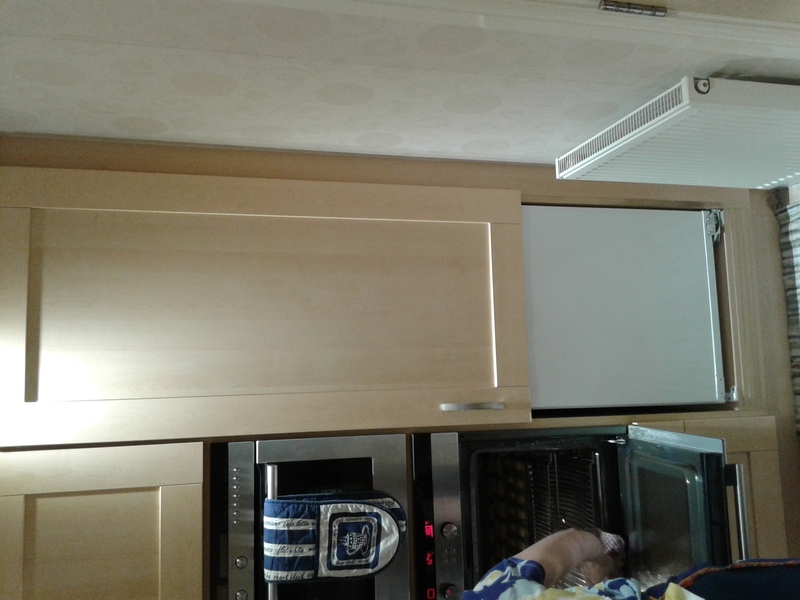 The fridge wooden door was fitted but it needed shortening to be able to fit the freezer wooden door. The engineer said that I have to get a carpenter as he is not allowed. Now I have to look for a carpenter and pay him extra and until then, every time I need to use the freezer I have to open both the fridge and the freezer. So the job was not completed. It would have been better for me to get a carpenter in the first place and pay him the 90£ and get the job completed. I visited your store in Cribbs Causway recently to buy an item I needed help to choose. After waiting fir half an hour I managed to be noticed by a middle management, middle aged man. He told me that there were five other people waiting before me. Whilst I can understand that the store is short staffed. I think that his approach could have been friendly and apologize for the delay. He then went off to "hug" a young female staff member. I left the store with out the purchases I intended and spent at least 25 mins trying to leave the car park. As you can Imagine I was not happy with this visit and have resolved never to go to that store again. we brought a Humax freesat box from PC World. At that time we got the extended warranty and we were told any problems just bring the box in and PC world would replace it. NOT repair. My husband is in the Merchant Navy and away for 3 weeks at a time so he installed the box 3 weeks ago just before he went back to sea. I could watch the TV but could not record a programme while watching a different programme even though this was part of the package we brought and every so often the box would freeze. As it had been brought on my husbands card I waited until he came home as we had not been told there was a time limit. When we did take the box in to be replaced, we were informed that only a repair was available even with the extended warranty and the fact that I would be without any television nothing could be done. I felt the staff and Manager didn't care and the fact that the box failed within a month of being used, it was not of merchantable quality. I bought a curry's essentials dishwasher on 24/10/15 and a couple of months ago noticed rust on the bottom inside near where the salt is put in. I dug out my receipt, which took me a couple of weeks of going through paperwork, but I contacted them and an engineer visited. His words were that it looked like a manufacturing fault and there was nothing he could do but he took pictures and would send a report. I did not hear anything back and had to contact them and was told nothing could be done. As salt must have been dropped in it. I went to the store in Trowbridge where I purchased it armed with the receipt. I was told by manager that as it was a Saturday he would not be able to contact anyone but he would on Monday and call me he never did. I ended up calling and was told it was still being looked into. Someone would contact me I was assured but guess what, they didn't. I phoned today and was More or less told there was nothing they could do so more or less tough. I was so angry that I have been to the store where the staff were lovely. I felt for the chap that had to tell me the is nothing they can do as it was a decision by head office. I can't get over in an email how angry and also upset I am. Through no fault of mine or using the dishwasher wrongly, I am left with a dishwasher that is under a year old and will only get worse not better. It might not be a big deal to a big concern like curry's but it's a lot to me. I will give you a chance to reply and if needed I shall get in touch with trading standards. Bought a washing machine on line Thursday and this was meant to be delivered on Friday but they didn't although I did receive a call after 1900 apologizing and saying it would be delivered the following day(Saturday). Bare in mind I took a day off work Friday to wait on this delivery. Come Saturday been at home waiting on this delivery, was told they would deliver in the morning but they haven't shown up. My son had a swimming lesson today at midday but I didn't take him because I was waiting on the delivery. Seeing as I've been in doors for one and a half days I decided to call them to find out ways happening. Was told they didn't book it in and now my new delivery date is Monday. Am more than pissed. Have always bought everything from Pc world but now I don't advice anyone to buy nothing from them unless ur picking it up yourself. This was the first time u was using there delivery service. It's so annoying! I bought a fridge freezer from there and then I tried to buy a cooker on the day of the delivery. Didn't hear anything after calling the Curry's PC World customer service number, so I decided to chase the order then the delivery driver or whoever decided to call me. Guess it was the driver who called and said..We have got ur cooker on our van and said the fitter hasn't turned in but we have us cooker on van we can drop it off at my residence I told them not possible as I only had a studio flat. company you I don't believe that. I was so fed I just said either you can bring tomorrow or cash back today. As a not well for me it was stress full. I will never use Curry's PC shops again. Abdul from the Canary Wharf Store was a terrible sales person, very rude, aggressive, seriously if you don't like your job find something else to do but don't be rude to customers that go and pay money for a product. The manager at this store was also very inefficient, doesn't know how to handle the situation, what is the point to have a manager on store? Terrible service! Ordered oven 26th Dec. Wasn't advised it wasn't in stock. Still waiting on 30th Jan. Waited in 3 times for delivery, one time it wasn't on the van and one time they didn't turn up and today rang to say they still weren't coming as no stock! Call centre takes ages to get through and costs! Manager has not rang me back despite 3 chase up calls from me. My kitchen gets fitted on Monday with no oven! The customer service is a joke! Currys also refuse to give me a gesture of goodwill for stress and inconvenience until the order has been delivered! I bought a TV in Currys/PC World, in Novemeber 2015. Recently the television has become faulty. I took it to Currys/PC World to get the TV repaired. When the TV returned to me after the repair, the same problem occurred. According to the Consumer Rights Act 2015, if I am outside the 30 days to reject, the retailer has one attempt to repair the faulty goods, and if the repair fails, then I am entitled to a replacement or a repair. I have been back to Currys/PC World on numerous occasions, explaining my rights and the Consumer Rights Act 2015, and they are refusing to give me a replacement or a refund. I ordered a America fridge freezer from store in chesterfield curry/pcworld cost £999 had item delivery week later. To get this item in they took doors of the America fridge freezer and only after they left they never put all the screws back into item they fell on floor. Nightmare to get it sorted once they have your money they aren't interested in helping you. I have been on phone so many times waiting for 35mins at a time and got a phone bill to prove this is why I am wanting them to pay for this i was buying a fridge freezer for £999 not £1049. All this waiting about and messing up my time with work i am complaining and won't ever buy from pc world again as they after sales is disgusting very disappointed with the service i have received. I bought a tv in Novemember 2015, the TV has been faulty recently, and I bought it into store to get it repaired. When I got the TV back, the same problem occurred. According to the consumer rights act 2015, if I am outside the 30 days right to reject, the retailer has one attempt to repair the problem, and if the repair is unsuccessful, I am entitled to a replacement or a refund. I have been back to Currys/PC World on a number of occasions, explaining the consumer rights act 2015 and they are refusing to give me a refund or a replacement. Order worth £300 for delivery 26th Jan. Good communication early saying delivery would be 5.39-6.39pm. I'm on crutches at present I hobbled out to ensure the gate was unlocked and no obstacles delivery pre slot time all fine and I waited in. At 6.38pmtext to say tried to deliver no one in. Photo of a door for 7a/7b/c not 7d. There was a very clear note o. The door saying Flat D through gate. 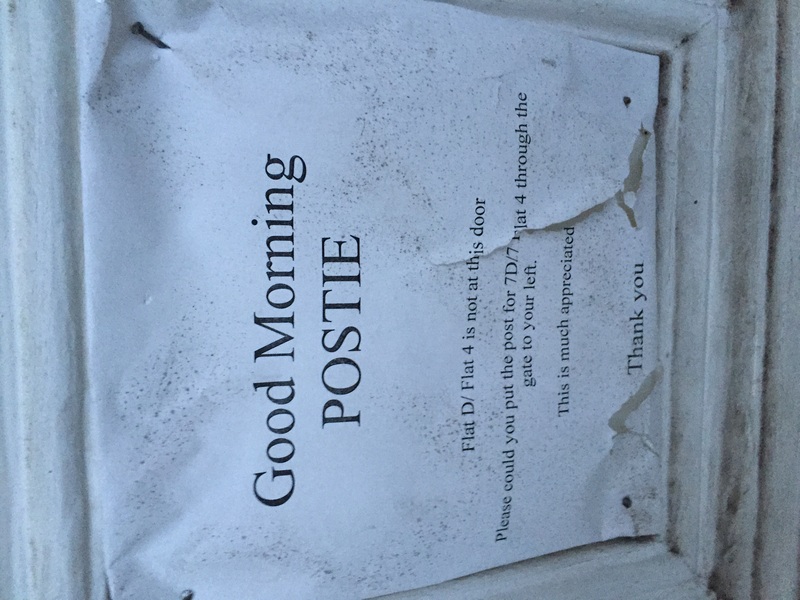 But it was raining and the driver obviously took no time to read it. As he'd just text, hobbled out on crutches, no sign of driver. Looked for Dpd and curry number to get him back. Very difficult to find a Currys number. Impossible for Dpd. Ring Currys. 16 mins on hold. Adam nice enough given I was angry and did a good job but couldn't physically do anything as it was passed 5pm. All could do was reinforce order for 27th Jan. Waste of a day. Very frustrated. If delivery today is post 3pm lost another day of work. It is a laptop in the main you are trying to deliver, already been out an added an additional note. See below, however believe the problem yesterday was driver was late, it was raining and end of the day and he simply wanted to go home. Ignoring the customer. I wished to speak to the local store but had to go through customer services which was costly and I couldn't get through. I had to hang up eventually because of the cost of waiting for an agent. In the store there was no negotiation on price even with matching item being sold cheaper elsewhere, and working for NHS and being entitled to 5% off gift card. Disappointed with Currys PC World poor customer care. Not even a year old and has stopped working, the lock button does not do anything. Took to Currys as that is where we bought it, they said have to contact samsung for repair/replace - the staff at currys were good enough to phone samsung for date so as engineer can access the hob, an hour later we still have not received a single date or time for engineer to even look at it, this is our means of cooking and how on earth can this behaviour be acceptable? Same style hob is still in currys for sale, the best outcome I would of expected is to give us a straight over swap or next day man to come and inspect it! We have always gone for samsung and as to now have had no problems. - will definitely think twice after the way samsung have behaved on the phone to the currys team! Unhappy and annoyed ex samsung customer. My television wont switch on, the red Standby Light is on and when you press the On button on the TV a green light flashes for about ten seconds then goes off, and the Tv stays off, we bought the Tv from Currys in Bolton approx 2 years ago with no additional warranty. New American style fridge freezer ordered and paid for, delivery agreed for 31st March 2015. Delivery turns up and the "agency driver and assistant" say that they have to remove the packaging to get it in the house, but if they do that I have to accept any damage they cause to the item??? This is something that was not pointed out to me at time of sale...you know the point where they take your money...and fail to tell you pertinent details. In fact at the store, where I went to voice my complaint they said that is not a policy that they are aware of. So the delivery was taken away without my say so, and we are left without our £1200 investment unless we accept this method on uncaring delivery! Their head office do not give a damn, the store staff don'f give a dame...and the delivery company (KNOWHOW) really couldn't give a toss about anything.....absolutely anything. Further, none of the "Customer Service" staff, even at head office, would ALLOW me to discuss my complaint with any manager - citing that in their opinion "We have done nothing more!" I have been treated like something you step in...they simply do not care ! Id like to share a story with you. Last February 2014, a PC Know How truck crashed in to my building costing thousands of pounds of damage and loss of business. All was taken care of by insurance companys for the repairs. No word from Curry to say sorry or any compinsation. we have the what ever happens policy and later that month our laptop was damaged. It has now been bank and forth for repair with the same two faults. Its still not and this is one year on. They have had it four times and tryed remotely. In my area they one pick up once a week, so this has been a slow process. I have been trying to get it collected again for two weeks and they keep canceling. I pay for the what ever happens policy and I lost business because of the truck. Im fed up waiting for Currys Pc World to fix this. A Year is TOO Long. Collect My Computer, Fix it, And Apologize for this stress. You even had the cheek to send out a faulty loan computer. Have feedback for Currys PC World?